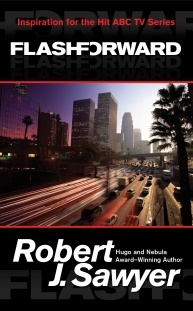 Robert J. Sawyer » Blog Archive » First Flash Forward TV series fan site! First Flash Forward TV series fan site! by Rob - December 19th, 2008. From the people who brought you Lost-TV.com, there’s now a site devoted to the Flash Forward TV series — that was fast! Among other things, it’s aggregating news coverage from other places, including my own blog, and I’m sure it’ll grow over time. Check it out at FlashForwardTV.com.